At CIC, we remove the anxiety and focus on you. 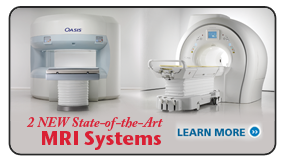 Our advanced technology, highly-trained staff of board certified radiologists, and comfortable, patient-focused imaging centers give you peace of mind—and the confidence that you're receiving the best care available. So you can feel more comfortable, and less anxious. Ultrasound imaging, also called sonography, uses high-frequency sound waves to produce pictures of the inside of the body. 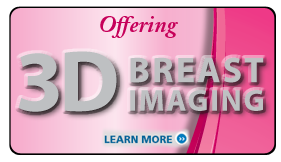 There are many advantages to imaging the body with ultrasound. Most importantly, there is no ionizing radiation (X-ray), which is why ultrasound is used during pregnancy. Furthermore, since ultrasound images are captured in real-time, they can show the structure and movement of the body's internal organs, as well as blood flowing through blood vessels. 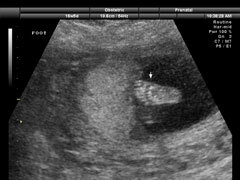 What should I expect during my ultrasound? Ultrasound exams are performed by a sonographer, a technician trained in ultrasound imaging. After you are positioned on the padded exam table, the sonographer will apply some warm gel on your skin and then place the transducer against your body, moving it back and forth over the area of interest until the desired images are captured. There is usually no discomfort as the transducer is pressed against the area being examined. If the study is performed over an area of tenderness or through an opening in the body, you may feel pressure or minor discomfort from the transducer. Once the imaging is complete, you may be asked to wait for a short period of time while the sonographer reviews your study with the radiologist. After the study, you should be able to resume your normal activities immediately. A final report will be sent to your referring physician. Ultrasound exams are typically less than 30 minutes. Preparation is specific for each procedure. Some ultrasound exams require no preparation, while others require a full bladder or refraining from eating and drinking for up to 8 hours before the exam. You will be provided instructions specific to your exam from your doctor or the scheduling department. Be sure to follow them carefully to ensure a quality exam. Failure to do so may result in a poor quality exam and possible delay in performing your exam. Nothing by mouth 8 hours before the exam. Nothing by mouth for 4 hours prior (unless specified). Nothing by mouth for 4 hours prior (unless specified). Drink 32oz non-carbonated liquid 1 hour prior. Drink 32oz non-carbonated liquid 1 hour prior. Less than 12 wks - 1st trimester: Drink 32oz non-carbonated liquid 1 hour prior. More than 12 wks - 2nd & 3rd trimester: Drink 24oz non-carbonated liquid 1 hour prior. Drink 20oz non-carbonated liquid 1 hour prior. Drink 24oz non-carbonated liquid 1 hour prior. No preparation is required for many other ultrasounds include Breast, Thyroid, Scrotal or Testicular, Musculoskeletal, Carotid Doppler and Venous/Extremity studies.